Indian sweets with their colours, shapes and taste are simply mind-boggling. For every geometric shape you can conceive, taste a sweet tooth can yearn or a colour under heaven there is an Indian sweet. Among them stands tall – rather round like the Sun, the ‘Gulab Jamun.’ A sweet born of Indo-Persian culture, even its name sounds delicious. 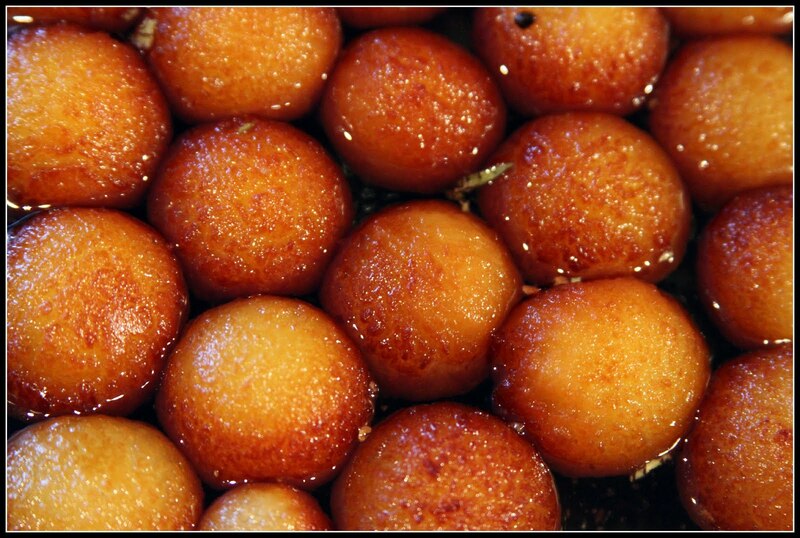 The moment you enunciate the two soft words ‘Gulab Jamun’ your mouth feels like a celebration. The former derived from rose-scented cardamom syrup in which it is soaked and the latter named after an indigenous plum-shaped Indian fruit. Such deliciousness shouldn’t be restricted to anyone, especially during the festive season. But health issues do play spoil sport making this king of sweets a no-go area due to the sheer amount of oil used in its preparation. However, you can put such worries aside with the USHA Deep Fryer, which uses the least amount of oil to cook your favourite dessert in a healthy way. For food purists who love to see their food getting cooked, the USHA Deep Fryer also comes with a Detachable lid with viewing window enabling you to view your Gulab Jamuns sizzle into round balls of Goodness. For the sugar syrup, boil water and sugar. Keep boiling for 2 minutes on medium flame to get a sticky syrup but no thread. Add cardamom powder and keep aside to cool to room temperature. Gulab Jamuns should not be put in hot syrup. Sift milk powder, maida and soda in a small paraat or flat plate. Add cream and mix well. Mix the mixture. If the dough appears hard, add 1 tsp milk and mix again. Divide mixture into 12 balls. Roll each ball carefully into a smooth round ball. If the balls have cracks, add a little more milk to the dough and mix lightly to a smooth dough. Stuff a mitha daana in each ball and roll again. Set Usha Deep Fryer to 150°C and fry 5-6 pieces till golden brown for 10-11 minutes. Once the balls have turned dark brown take out from the oil and put into the syrup which should be at room temperature. Fry the remaining balls and keep all Gulab Jamuns to soak in the syrup for 2 hours. 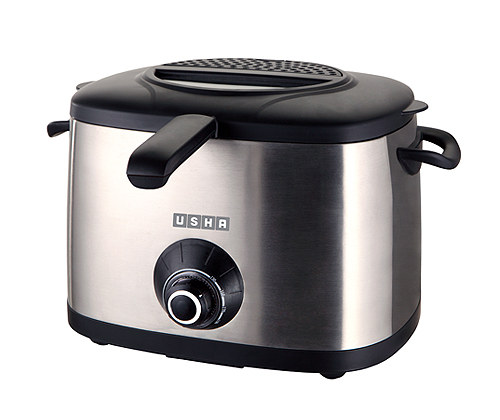 USHA DEEP FRYER DEMO VIDEO: Includes Loads of Other Recipes too!! This entry was posted in Recipes, Sweet Indulgence and tagged Cuisines, Desserts, Usha Deep Fryer by Blogger. Bookmark the permalink.